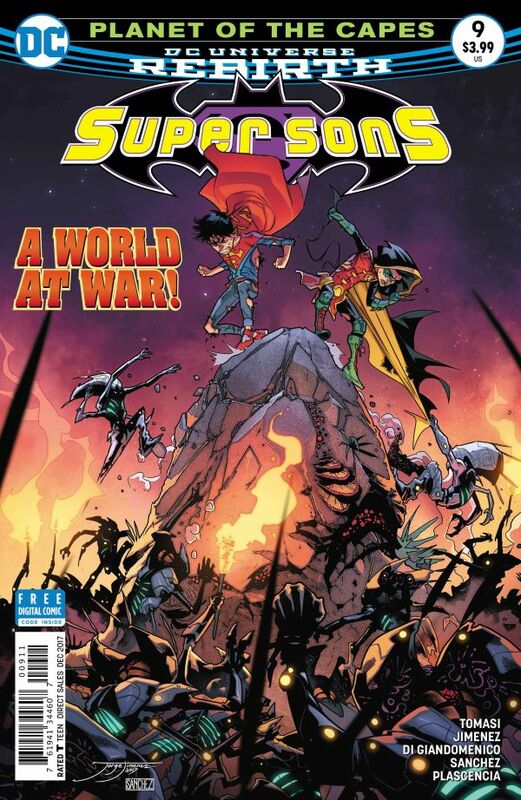 "Planet of the Capes" - Part 4: "It's a Mad House"
We open with the boys battling the army that Ygarddis has created. Sensing that they are about to get defeated, Kraklow pulls them down to his level and tells the boys that they can't defeat Ygarddis. He explains that his magic got so strong that he was able to create superior people from clay, the likes of Hard Line and Big Shot. Wallowing in despair, Jon snaps Kraklow out of his pity party with some encouraging words. Ygarddis attacks, and together the boys, Kraklow, Hard Line and Big Shot manage to defeat him. Kraklow taps into his vast power and helps send the boys home. Later, in Metropolis, the boys tell Clark about their adventure, before Clark flies of to some emergency. Elsewhere Kraklow, Hard Line and Big Shot, inspired by both Jon and Damien set up a school for the next generations of heroes of their world. Story - 5: I love this book a ton. It is one of my favorite titles to read every month, always look forward to the next issue. There hasn't been a bad issue yet, however with the conclusion of this arc, I was left a little unsatisfied. Not that there was anything wrong with the issue or the story, it just failed to capture my interest like the rest of the issues had. The highlight for me was when Damien asked Clark for a cup of coffee, and Clark tells him "it stunts your growth, and Jon tells me you need all the help you can get". That along with the banter as he tells the boys to do the dishes, and Damien replies, "I don't do dishes"... "You do here son". The dialogue is always magic in this book. Art - 5: As usual, Jimenez's art is wonderful to behold, but sadly he doesn't illustrate the entire issue, which is a shame, as his art helps make this book what it is. Thankfully though we are graced with Carmine Di Giandomenico's renditions, which are fantastic in their own right. He tackled most of the action this issue, and didn't skip a beat. In fact, there was a seamless transition from Jimenez to Giandomenico and back to Jimenez. I particularly like that Ygarddis resembles a Quintesson from the G1 Transformers series. Nice little throw back to an old school design. Alejandro Sanchez is joined by Ivan Plascencia, on the color duties this issue, and there was no break in the consistency of the tone. Very well coordinated. Cover Art - 5: I love the cover by Jimenez, it perfectly captures the intensity of the battle the boys face against Ygarddis. 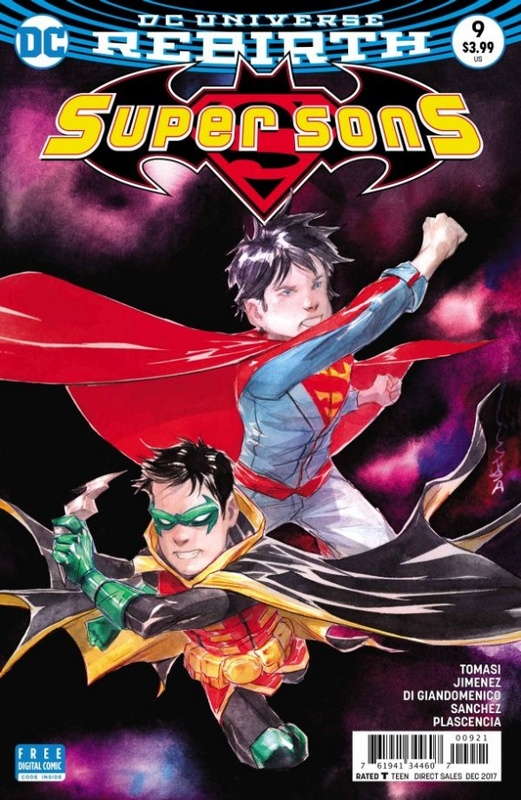 The variant by Dustin Nguyen is a tad generic and boring sadly. Which is a shame, as I love his art.